You are here: Home / Development / ShapeSheet / List Separators in Visio’s ShapeSheet are Crazy! Not every country and culture on Earth use commas and periods the same way as Americans do. Shocking, I know! See the semi-colons in there between the names? Verrückt, oder? Note the reversal of period and comma for separating thousands and decimals. Many years ago, the designers of Visio decided that it was a bad idea for the ShapeSheet to have localization, and changed everything to be “universal” or “invariant culture”. This meant that inside of the ShapeSheet, all cell-names would be in English, and work would be done with “U.S. Settings”. 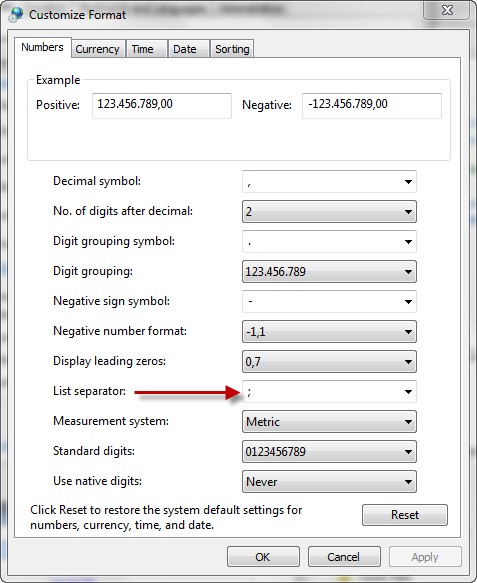 Commas for separating lists and thousands groups, and dots for indicating the decimal location. But even after years of fiddling with this and doing Visio-based work for clients all across the globe, the story remains unclear to me. Part of the problem is the fact that you can “program” Visio shapes using the ShapeSheet. And you can program Visio using languages such as VBA, VB.NET and C#. Plus you can programmatically set ShapeSheet formulas and values using those languages. So many avenues where culture settings might cause problems! Such a problem recently cropped up when I posted the article: Choose Colors with Shape Data Field. The ShapeSheet technique described there uses all sorts of fancy lists of lists and lookups and indexes to allow users to select colors from a drop-down list. But it was discovered that it didn’t work in Germany. This is because the German list-separator is a semi-colon instead of a comma. 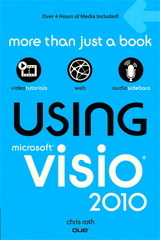 I normally use US Visio on a US Windows 7 machine. But I can switch my culture to German quite easily. This doesn’t change the language on my system, but it does change my list-, decimal- and thousands-separators in one fell swoop. 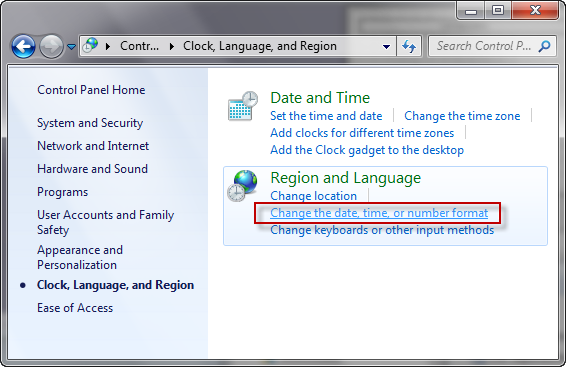 This offers a convenient way to do some testing, without building a virtual pc with a completely foreign environment. Now that I’ve set up Euro-list-separator settings, I can go have a look at my ShapeSheet to see if anything is different. Here I’ve added a couple of User-defined cells that use list-containing functions. When I switch to values, the Prompt cell for User.testColor looks a bit different. See the semi-colons?! My conclusion is that Visio maintains some sort of distinction between pure value of a ShapeSheet formula, and the value of that formula as text. Remember that User.testColor and User.testColor.Prompt hold the same formula, but they display different results! My shape still turns a nice, glowing orange color. But with these settings, the problem in: Choose Colors with Shape Data Field did raise it’s ugly head. Note the semi-colons in the RGB-formula. 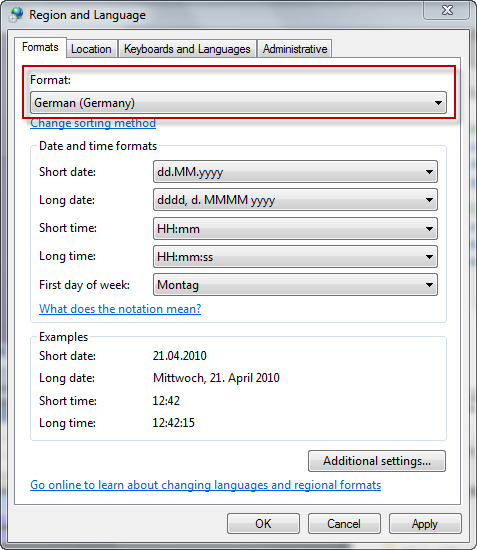 For US Visio, with German settings the above expression worked fine. Setting a ShapeSheet cell with an apparently localized formula worked just fine. So much for universal ShapeSheeting! Curiously, this formula didn’t work! Using SET to jam a “universal” formula into the ShapeSheet doesn’t work if the machine’s settings don’t match the universal/invariant culture. Hmm. Is this a bug? 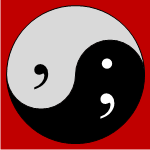 When I switched back to US-English settings, then the comma-separated RGB formula could be jammed via double-clicking the shape, and the semi-colon-separated formula failed. At this point, that was to be expected. The problem is that designing Visio shapes for multiple cultures that use SETF to stuff formulas containing lists is difficult. The claim of a universal ShapeSheet falls short. I dug up a Virtual PC image that had US Windows XP with Danish Visio. I chose to use Danish settings and see if anything was different. The Danes have the same setup as the Germans: semi-colons separate lists, commas indicate decimals, and periods separate thousands. Setting FillForegnd to either User.testColor or User.testColor.Prompt also resulted in a nice, bright orange-filled shape. And the formula-stuffing double-click behavior? doesn’t work. Just as in my US-German configuration. So it seems you can simulate “being in Europe” by simply choosing separator settings of Germany, Denmark, or the like. No need to create complete in-country virtual system images. If you are programming a Visio solution and setting ShapeSheet values from your code, I’ve cobbled together an example that deals with the various cases. Note the last section uses FormulaU instead of Formula to set the formulas. The “U” stands for “Universal” and is part of the initiative to alleviate cultural worries when developing on top of Visio. Using FormulaU, you can use the US-style formulas and set the formulas no-matter the culture-settings of the target machine. Or at least I hope so. There is a nagging voice inside my head that says even FormulaU won’t save you in every case. If I remember the example, I’ll come back and update this article with the additional info! In my early Visio days (6 month ago) I didn’t know about a shapes connects colletion or is it a property or method? Doesn’t matter. Therefore what I did was to read the formula of the BeginX or EndX cell, because I had noticed, that if a 1D shape is connected to something, Visio will write a formula in the BeginX cell, that contains the PNT ShapeSheet function. That didn’t work. Although, looking at the ShapeSheet there stood the formula with PNT in it. Why didn’t it work? and saw, that instead of PNT there was PKT which would be the german name of the funciotn if the ShapeSheet would be in german. Thanks for this background information, it was very useful when I had to develop a solution that works in Germany and the UK.